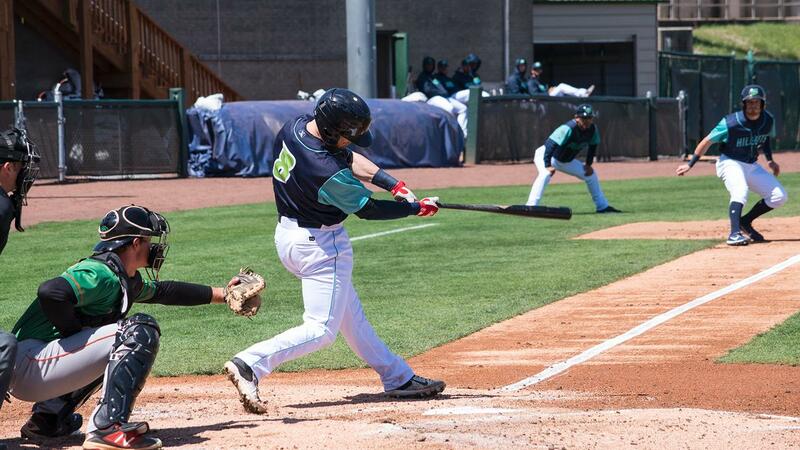 Lynchburg, Va. - One day after the Salem bested Lynchburg 14-1, the Hillcats delivered on both sides of the ball as they took the series from Salem with a 10-3 win on Wednesday night. 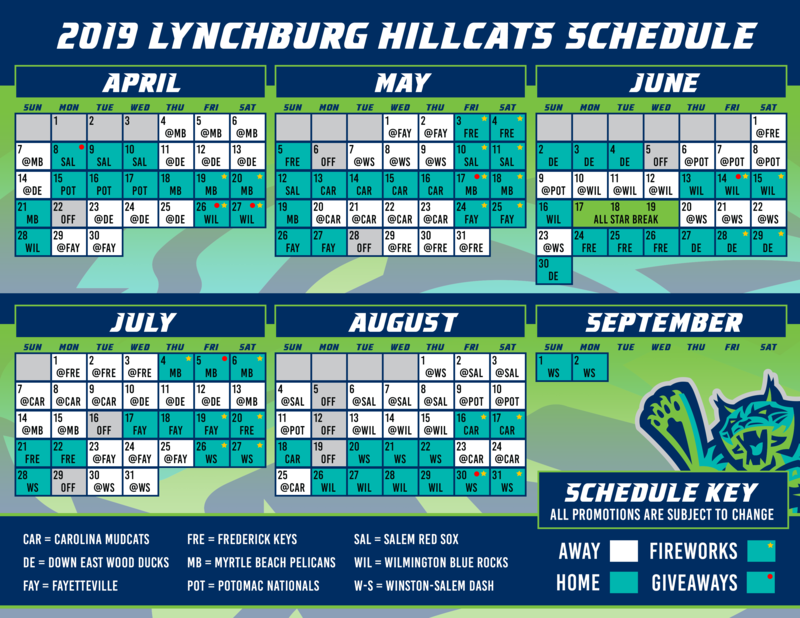 With the Hillcats (5-2) trailing 1-0 in the third inning,Lynchburg tied the score before first baseman Gavin Collins swatted the first home run of the series, a three-run blast that put the Hillcats up 4-1. Lynchburg would never look back as they cruised to the win over Salem (3-4). Adam Scott (Win, 1-0) tossed five innings while allowing three runs and striking out four in his first Carolina League victory. Salem got the scoring started in the top of the third inning with an RBI single off the bat of Pedro Castellanos to score Ryan Fitzgerald, who reached earlier with a triple. The rally would start for the Hillcats in the bottom half of the inning. After Nolan Jones reached base on a fielder's choice, the next four hitters would all reach successfully. An RBI single from Trenton Brooks scored Jones to tie the game, and just one batter later Collins cracked it open with a moon shot homer to left field, giving Lynchburg a 4-1 advantage. The Hillcats tacked on another run in the third inning when Tyler Friis drew a bases loaded walk to make it 5-1. Salem began to chip into the deficit by plating one in the top of the fourth inning on a wild pitch from Scott that scored Jerry Downs. Fitzgerald tacked on another run in the fifth with a sacrifice fly to cut the Salem deficit to just two runs at 5-3. Lynchburg's bats responded in a big way in the bottom half of the fifth, batting around for a second time in the game. The Hillcats scored four runs in the inning, capped off by an RBI double off the bat of Oscar Gonzalez to extend the lead to 9-3. The 'Cats added another one in the top of the eighth when Brooks singled in Luke Wakamatsu to give the Hillcats a 10-3 lead. Nick Gallagher (Save, 1-0) was lights-out from the bullpen, tossing four perfect innings of relief with six strikeouts, earning his first save of the season. Jhonathan Diaz (Loss, 0-1) gave up five earned runs while walking four in 2.2 innings. The Hillcats begin a four-game road series against the Down East Wood Ducks on Thursday and will send Jean Carlos Mejia (0-0, 0.00) to the mound to face off against Tyler Thomas (0-1, 4.50). First pitch is slated for 7 p.m.
Max Gun will be on the air beginning at 6:50 p.m. on TuneIn Radio and Radio434.